SONIC DELIGHT : Experience the thoughtful, unusual arrangements of 3 Leg Torso on Nov. 14 at the Steynberg Gallery. I think what I like best about 3 Leg Torso is that they don’t even try to sound like anything or anyone else. The fiercely independent, wholly original chamber quintet creates cinematic, unusual music that’s at once beautiful and arresting. Sure, if you listen closely you can discover some subtle touchstones on their newest instrumental offering Animals & Cannibals—a touch of the Decemberists, some Hungarian gypsy fiddle music, Japanese pop and jazz, Latin dance, American blues, cabaret, cartoon music—all rendered on tuba, French horn, piano, Weissenborn, violin, and double bass. Their music delivers one surprise after another, moving from lush poignancy to quirky comedy in a blink. One second you’ll feel like you’re skipping through a sun-dappled forest surrounded by fairies and woodland creatures, the next you’ll find yourself in a smoky speakeasy with guys sporting pencil-thin mustaches and dolls charging 10 cents a dance. 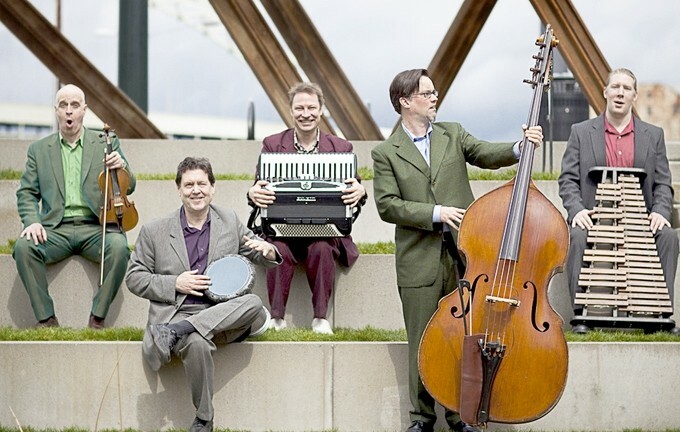 Experience the thoughtful, unusual arrangements of 3 Leg Torso on Sunday, Nov. 14, at 7:30 p.m. in Steynberg Gallery. Tickets are $12, available at the venue. On Thursday, Nov. 11, SLO Brew hosts Mae (an acronym for Multisensory Aesthetic Experience) in the “Goodbye, Goodnight, Farewell Tour” (6:30 p.m.; all ages; $14 presale or $15 at the door). Terrible Things will open. Rock, pop, and soul singer Tyrone Wells returns to the club on Friday, Nov. 12, with opening act Andrew Bell (7:30 p.m.; all ages; $10 presale or $12 at the door). Wells is touring in support of his second album, Remain. 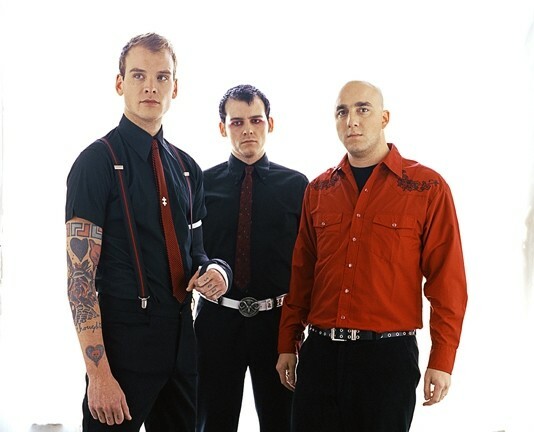 PUNK’S NOT DEAD : Alternative rock act The Alkaline Trio plays SLO Brew on Nov. 14. Come Wednesday, Nov. 17, check out Eisley, the indie pop rock up-and-comers who promise to charm (7:30 p.m.; all ages; $12 presale or $14 at the door). ACOUSTIC ECSTASY : Enjoy dinner and a show when Dorian Michael and Kenny Blackwell play Sustenance Cooking Studio on Nov. 12. Dorian Michael and Kenny Blackwell play frequently throughout the county, but I personally can’t recall them playing in SLO Town itself, which is why on Friday, Nov. 12, local fans of amazing acoustic music are in for a double treat. Not only can you feed your ears on Dorian and Kenny’s virtuoso sounds, but you can feast on amazing food by Sustenance Cooking Studio, which is hosting the 7 p.m. concert. Dinner—included in your ticket price—will be served from 6 to 7 p.m.
Michael has been playing finger-style acoustic guitar for more than 40 years and has released several CDs and instructional books. He describes his acoustic solo music as “contemporary traditional; original music that reflects my interest in a number of styles of music.” Blackwell is an amazing mandolinist, and he and Michael released an awesome acoustic CD called All Dressed Up. Tickets cost $25 presale (at the venue) or $30 at the door. Feel free to bring your own beverages. There’ll also be wine tasting and sales by Pithy Little Wine Co.
TWO GOOD FOR WORDS : Incredible local folk duo Bob and Wendy returns after a brief hiatus to play the Steynberg Gallery on Nov. 11. Fresh from opening for Brushfire Records recording artists Rogue Wave at the Great American Music Hall in San Francisco, alternative rock group Grand Lake will bring an intimate, acoustic performance to Steynberg Gallery on Thursday, Nov. 11, at 7:30 p.m. Their homecoming will be in support of locals Bob and Wendy, performing for the first time following a brief hiatus. Expect some mingling amongst the performers. The cover’s a scant $5. The Paul Chesne Band bio says, “Dr. Dre meets Johnny Cash. A Sun Records feel with outlaw California country roots.” Check them out on Thursday, Nov. 11, at Frog and Peach, and Friday, Nov. 12, at Mongo’s Saloon. Linnaea’s Café has become a regular stop for singer-songwriter Amy Obenski, who returns to the café on Friday, Nov. 12, for an 8 p.m. show. “I’ve been getting a really good crowd that grows every time,” she said. With lyrics that have been called “gripping” and vocals called “haunting,” Obenski shifts seamlessly between folk, jazz, and rock. She’s currently working on her fourth album. Bev Barnett and Greg Newlon play the Música Del Río House Concerts in Atascadero on Friday, Nov. 12, at 8 p.m. “Building a stable bridge between roots Americana and contemporary folk music has really become the life’s work for Bev Barnett and Greg Newlon,” according to their press materials. “And, making sure the human heart and soul never gets lost along the way. The remarkable fit of their voices means coming along for the ride is a refreshing treat for those of us having the pleasure of their musical company.” For info and reservations, call 466-6941. Tickets cost $15 at the door, with 100 percent of the money going to the musicians. MS. HOLLAND’S OPUS : Sony Holland will bring her smooth jazz sounds to three shows this week: Nov. 12 and 15 at Rose’s Landing in Morro Bay and Nov. 14 at Spyglass Inn. That Little Black Train is still rolling, this time to Painted Sky Studios for an intimate acoustic concert on Saturday, Nov. 13, at 8 p.m. ($15 tickets at Boo Boo’s, the Cambria Business Center, or by calling 927-8330). The traditional Americana band will be joined by Amaya Dempsey, an award-winning fiddler and singer from Paso Robles the band says “is certain to steal a few hearts that night.” The 11-year-old Amaya will open the show with a short set of her own, and will later join the band for a grand finale. BOW ME, BABY : The SLO Symphony’s 50th Anniversary keeps getting better and better. 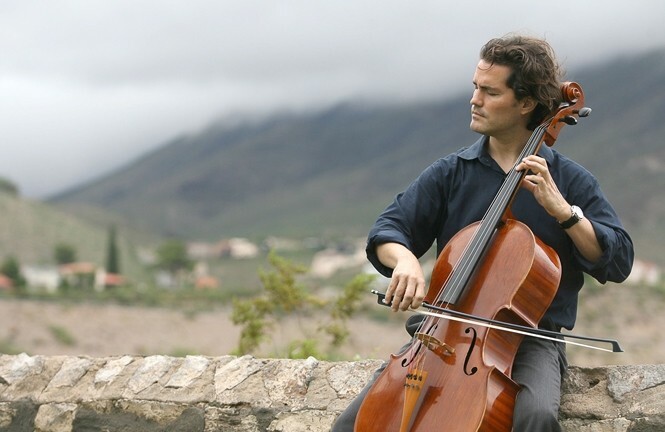 Superstar cellist Zuill Bailey is their next special guest, performing on Nov. 13 at the Christopher Cohan Center. The SLO Symphony’s 50th Anniversary keeps getting better and better. Rock star cellist Zuill Bailey is their next special guest, performing on Saturday, Nov. 13, at 8 p.m. at the Christopher Cohan Center. Maestro Michael Nowak will lead the SLO Symphony and Bailey through a program that includes Ralph Vaughan Williams’ Fantasia on a Theme of Thomas Tallis, Mozart’s Symphony No. 29, and Dvorák’s Cello Concerto in B minor. Tickets range from $17 to $68. Call 756-2787. A Pre-Concert Lecture called “Symphonic Forays with Dr. Craig Russell” takes place at 7 p.m. in the Christopher Cohan Center’s Harman Hall (concert tickets required). Student rush tickets are offered at half-price in all sections after 7 p.m. at the door. There’s also a “No Ties Allowed! FREE Dress Rehearsal” at 1 p.m., open to the entire community. The San Luis Obispo County Band will perform its 16th annual Benefit Concert for the Homeless on Sunday, Nov. 14, at 3 p.m. at Mount Carmel Lutheran Church, 1701 Frederick St., SLO. Guest saxophonist soloist and conductor David Becker will lead the band through a program called “Music From Many Places and Times,” commemorating the band’s 136th anniversary. There’s no admission charge for this concert, but a free-will donation to support the Homeless Shelter will be taken at the door. 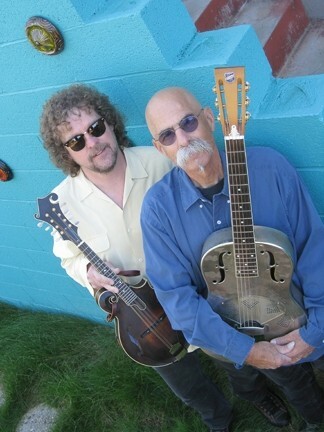 A FAMILY AFFAIR : The Frog and the Peach hosts The Whitney Myer Band, which features Myer’s dad and uncle, on Nov. 14. The Frog and the Peach hosts The Whitney Myer Band on Sunday, Nov. 14, at 10 p.m. The band’s something of a family affair, with Whitney backed by her father Scott Myer on guitar and uncle Fred Myer on drums. 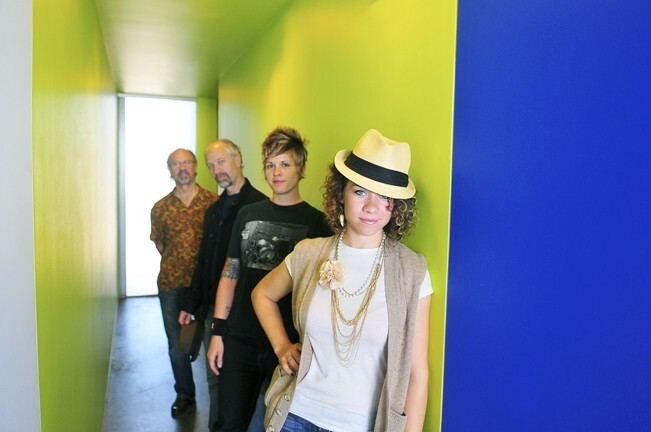 Bassist Gia Torcaso rounds out the ambitious, hard-working quartet. Twins Scott and Fred started jamming with neighborhood kids in East San Francisco Bay and soon the two ended up backing nationally touring acts such as Dave Mason and Commander Cody. In the ’90s, Scott and Fred joined The Mudsharks, a Reno-based ska band, right around the time Whitney was getting into the Mudsharks’ mosh pits. She started writing music at 13 and recorded her first album at 16. The Whitney Myer Band is currently touring in support of 23-year-old Whitney’s sophomore effort, Dream Killer. On Tuesday, Nov. 16, Daniel Park of Las Cruces, N.M., headlines the next Central Coast Songwriters showcase from 7 to 10 p.m. at The Clubhouse (all ages; no cover). On Wednesday, Nov. 17, at the Spyglass Inn, jazz guitar playing brothers Goh and Kai Kurosawa perform during Steve Key’s Songwriters at Play showcase from 6:30 to 9:30 p.m. Known for their dynamic style and creative blending of classical, folk, rock, flamenco, and world music, the Kurosawas will be one of eight performers on the bill. SHOOT ’EM UP FOLK : Woodstock, NY-based indie folk duo Mike + Ruthy will bring their sublime acoustic sounds to the Steynberg Gallery on Nov. 17. Woodstock, N.Y.-based indie folk duo Mike + Ruthy will bring their sublime acoustic sounds to the Steynberg Gallery on Wednesday, Nov. 17, at 7 p.m. ($5 cover). A few years ago, they rolled through California to support Arlo Guthrie during his 40th anniversary of Alice’s Restaurant tour with their band, the folk-rock act The Mammals. They also supported Pete Seeger at the Monterey Jazz Festival last summer. This time around, they’re here to share their “memorable new songs at eight intimate live shows from Encinitas to San Francisco,” supporting their new album Million to One, which was called “an infectious new folk-rock album” by the Boston Globe. They’ll have two guitars, a banjo, a fiddle, and a ukulele in tow. “In this fast-paced, technological world, we get excited about a room full of people who are there to share an intimate acoustic concert,” Mike said. KCPR is a real rarity, a college radio station run by students, playing music most commercial stations wouldn’t touch with a 10-foot-needle, if they still had turntables, which most don’t—but KCPR does. It’s a station where you’ll hear live DJs putting together music for you on the spot, music they pick instead of pre-recorded shows put together by some corporate board. Yep, KCPR is special, something to be nurtured and protected and supported. So here’s your chance. KCPR 91.3 FM will be holding its 40th annual fundraising auction Monday, Nov. 15, through Friday, Nov. 19, 10 a.m. to 5 p.m. Listeners are encouraged to call in to bid on auction packages made up of various merchandise donated by local businesses in SLO and Santa Barbara counties.